Wool Classics has been a trend leader in the residential flooring market since it was founded in the 1990's and still sets the pace in interior fashion. To stay ahead we launch several new collections every year and study interiors and fashion trend forecasts to keep us on the mark. If you are seeing new ideas in the magazines you will find them at Wool Classics. With over 900 unique carpets and thousands of rug designs, Wool Classics is your one stop shop for all your soft flooring needs. From wool (our origins) to silk or alpaca we have an amazing variety of products to choose from all of which can be adapted to suit your home. Many of our standard range products are on display in our showroom in the Design Centre at Chelsea Harbour however if you would like a sales representative to call then simply Email sales@woolclassics.com or call us on 0207 349 1560 and we will book an appointment to suit you. At Wool Classics we recognise how hard it can be to select carpets and rugs so we do everything we can to make the process straight-forward and comfortable for the client. All of our products are on display in our showroom in the Design Centre at Chelsea Harbour, however if that is not local for you our complete collection can be viewed on this website. Once you find the styles, colours or textures you like, simply order samples and they arrive at your home the next day. Once you have mad a selection, we can send our installation team to measure the rooms and areas you want to carpet and we will give a full and clear quotation for the project. We will also assess all aspects of the installation making sure we can get the product into the room without damage or problems, ensuring that we factor in all other considerations of the room, such as under-floor heating, radiator positions, door bars or other floor furniture and underlay options. We want to make sure you know exactly what you are buying and how it will look and perform once it is installed. If it is a rug you want we know that these are particularly individual pieces and so we offer the most varied choice available. Most rug companies offer a selection of different sizes; we let you decide the precise size to fit your room, to the millimetre. Most companies offer rugs in one colour palette, we allow you to select every colour in the rug. If you can find a colour we can match it. 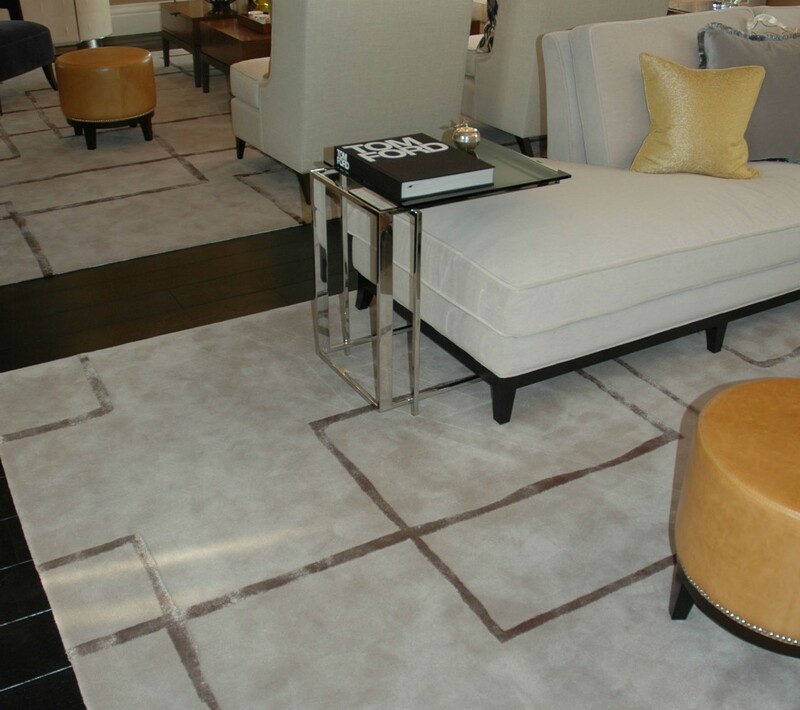 We allow you to bespoke every aspect of the rug to make it unique to you, an individual work of art. 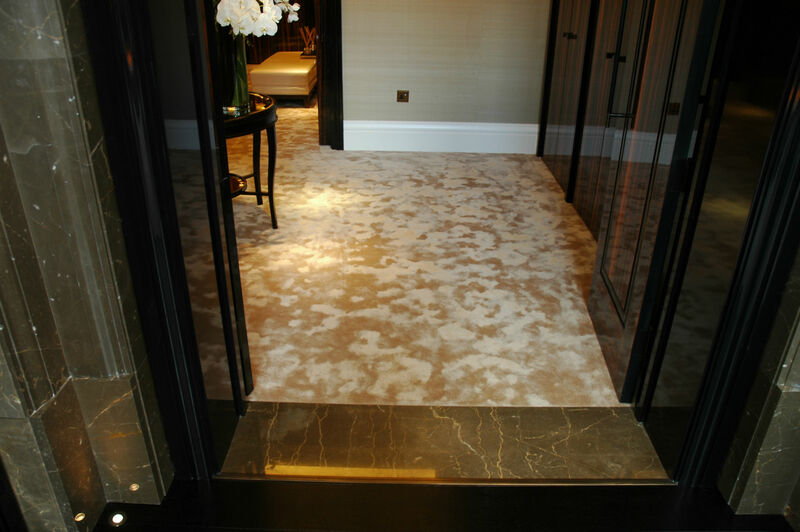 We also recognise that not every room suits a rectangular rug, so we are happy to make any shape in any size you want. For quirky shapes we can come to your house and template out a shape on the floor so you can see exactly what you will be getting. 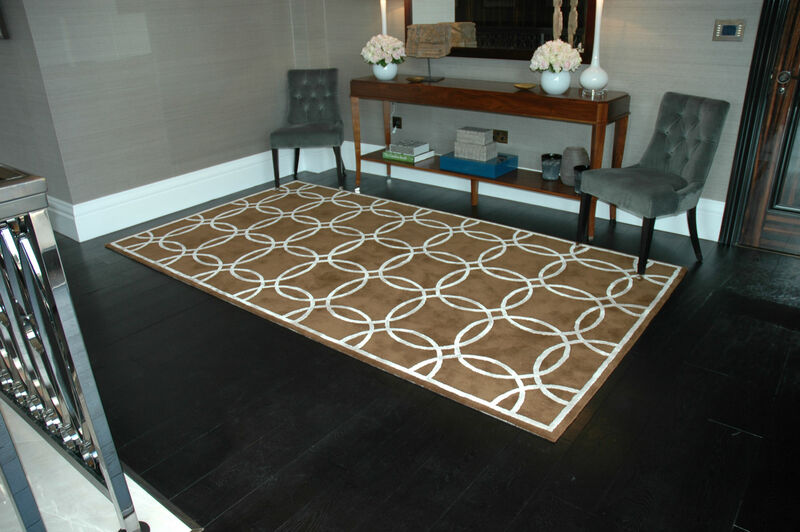 Some interiors benefit from matching or contrasting rugs, so we make sure we design each rug feature to suit your interior. The vast variety of different textures, yarns and features that we offer ensures your rug will be fascinating and full of life. We are passionate about design and colour and we will make every effort to create the most beautiful floorscape possible. Should you require any further information please do not hesitate to contact us anytime.